Are you looking for industrial epoxy floor coatings, quartz epoxy flooring for your commercial business? Then you have come to the right place. TKO Concrete understands your commercial epoxy flooring needs. 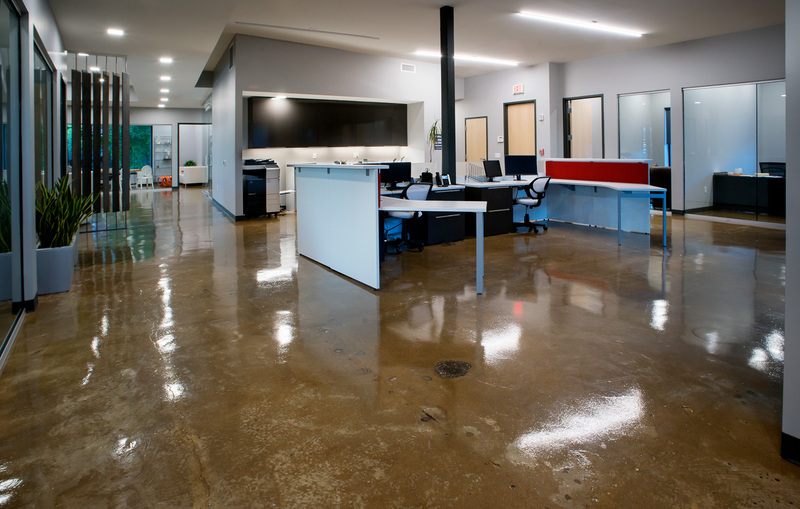 Based in Nashville, Tennessee, TKO Concrete is positioned to meet your commercial epoxy floor coating needs throughout the southeastern United States. Whether you want a metallic epoxy, decorative concrete floor or a distressed concrete look like the one pictured above. To produce a distressed floor we diamond grind the existing slab, this floor was 50 years old and in horrible condition. Then we patch, overlay the worst areas and restore the existing substrate. After repairing the floor we apply a clear epoxy, followed by a high performance urethane top-coat. The end result is a great looking functional floor that will last a lifetime.